Grosset & Dunlap, 9780448437392, 160pp. 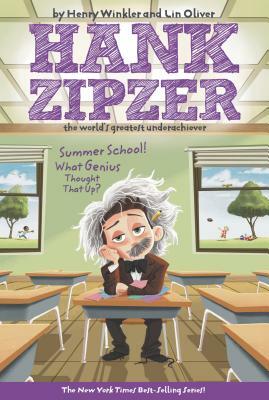 Summer school are two words in the English language that Hank Zipzer doesn't want to learn. But there's no getting out of this one for Hank-summer school, here he comes! Will Hank have to spend the summer bored to death inside a sweltering classroom, or will he actually learn a cool lesson or two?